Apply for the 25% off student discount! This powerful microlearning platform serves as your main study tool. Designed specifically for CPA candidates, our SMART course enables you to study more efficiently—and pass more easily—by detecting your weak areas and recommending a personalized learning path. It also includes detailed visual analytics, your interactive study planner, exam-emulating quizzes, the Gleim digital book, and more. Our course accommodates your preferred learning style and schedule. Feel completely comfortable on exam day! We have programmed our course to simulate the Prometric testing environment in every possible way. When you sit for your CPA Exam, you will feel as though you are just taking another Gleim practice quiz! Receive assistance from a team of Personal Counselors, exam mentors who will offer support whenever you need it for the entirety of your studies. Using the interactive study planner included with this system, you can customize the level of support you receive from your Personal Counselor, as well as track your performance and plan your studies based on your schedule and goals. 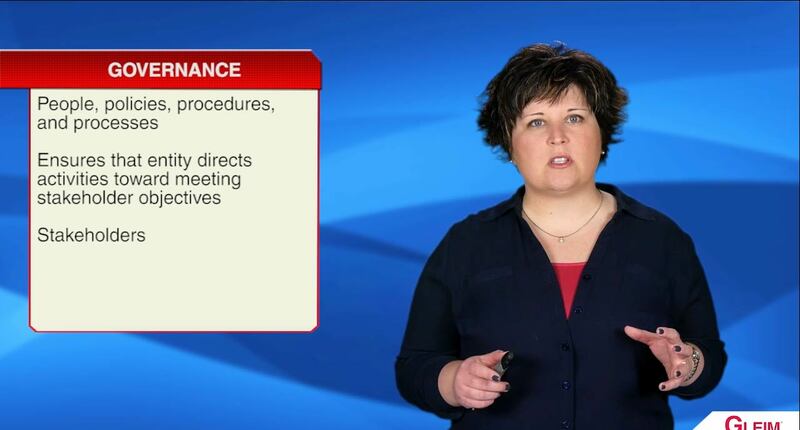 Over 100 hours of professional video lectures allow you to enjoy additional study flexibility and convenience. 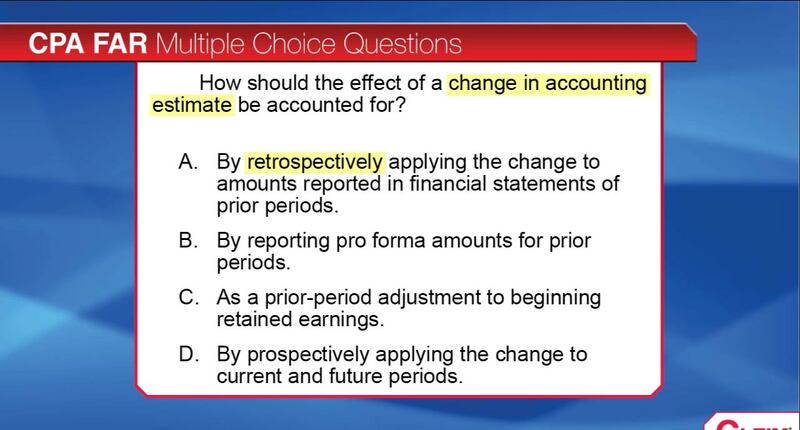 In this video series, our team of accounting professors guides you step-by-step through multiple-choice questions and real-world examples. 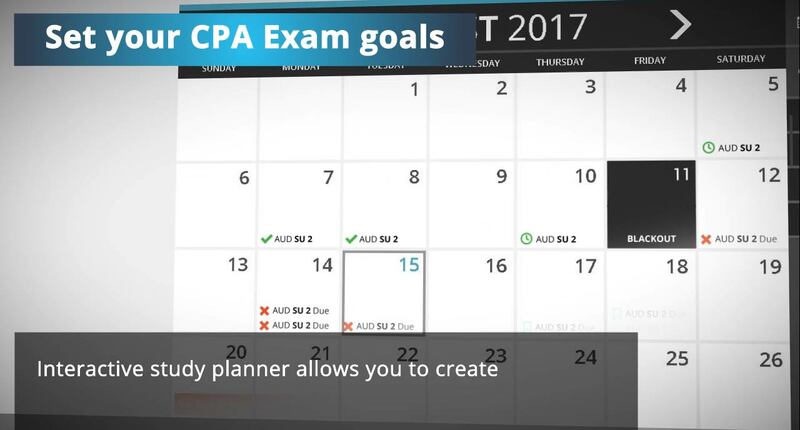 These videos cover the most important topics included in the CPA Exam Blueprints. If you encounter a problem in the Gleim study materials that you do not understand, you can quickly and easily submit an inquiry and receive a helpful response directly through your course. Our bank of test questions is truly the largest collection of unique and realistic sample problems available on the market. By practicing with over 10,000 Multiple-Choice Questions, which include detailed answer explanations for both incorrect and correct answer choices, and 1,300 Task-Based Simulations and Written Communications you can be ready for every type of question on the CPA Exam. Test your knowledge and skills against questions of CPA Exam quality to ensure that you are completely confident and prepared. You can put your mind at ease and study at your own pace knowing that this no-hassle guarantee ensures your materials will stay current throughout your CPA review. Our expertly-authored books are broken up into small, bite-sized sections for maximum retention and contain comprehensive outlines and examples. Study when and where it is most convenient for you with the Gleim Audio Lectures. Study at home or on-the-go by streaming or downloading CPA lectures that address the most important concepts from the Gleim books. Join those who have passed with Gleim! Purchase the Gleim Premium CPA Review System for Auditing & Attestation. Purchase the Gleim Premium CPA Review System for Financial Accounting. Purchase the Gleim Premium CPA Review System for Business Environment & Concepts. Purchase the Gleim Premium CPA Review System for Regulation. We want you to feel at ease with your purchase and assure you that Gleim will support you in your exam preparation efforts. As long as you are preparing for and taking the CPA exam section(s) for which you purchased the Gleim Premium CPA Review System, we will ensure that you have Access Until You Pass®. Your electronic material will update automatically when new editions are released and when content revisions are made. In addition, we’ll ship you the new edition of the book(s) for only the cost of shipping. If you follow the Gleim “suggested steps” detailed in our Premium CPA Review System, are unsuccessful in passing the exam, and are not satisfied with the System, we will refund your purchase price paid for the applicable sections. You must request this refund within 18 months of your purchase. Regular shipping within the contiguous 48 United States is USPS Freight charge plus handling. If your U.S. address includes a Post Office Box, you must choose the U.S. Postal Service as your carrier. Other carriers used by Gleim, including UPS, do NOT deliver to PO Boxes within the U.S.; if you choose another carrier, your order will be delayed until Gleim can contact you to provide us with a Street address. There is an additional freight charge that we pass along to customers within those destinations. Placing your order: You can place your order through our convenient Online Store. It is the fastest, most accurate, reliable, and secure way to place your international order with Gleim. U.S. trade embargoes: For an up-to-date list of countries with economic and/or trade sanction embargoes, please visit the Office of Foreign Assets Control (OFAC). Gleim Publications, Inc. adheres to the United States government economic and/or trade sanction embargoes. Thus, we cannot ship products or provide services within the countries listed on the OFAC website. We apologize for any inconvenience this may cause you.